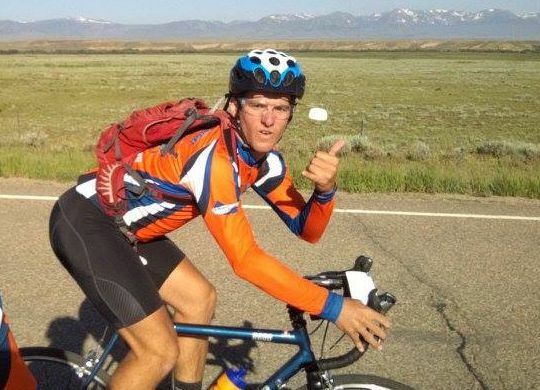 VIDEO: Bicycle Adventure’s Connor Ciment — crossing into Maryland, closing in on D.C. The record-shattering 2016 Fuller Center Bicycle Adventure — raising funds for and spreading awareness of our affordable housing ministry — will complete its 3,500-mile journey from Seattle to Washington, D.C., on Saturday. Today, ride leader Connor Ciment gave everyone a little 2-minute update from his bike as the riders into Maryland on a quiet, peaceful trail. Connor, thanks for taking us with you as you and others on the cross-country Bike Adventure ride thru Maryland…fast approaching the D.C. finish line. I have been reading and viewing the photos and videos along the hundreds of miles. Way exceeding your fundraising goal will provide more homes to more families in need of a decent place to live. Millard would be thrilled as I am about the tremendous success of Bike Adventure 2016. Blessings and Congratulations to you and all the other bikers pedaling for Fuller Center. OYEE!! !